The R&D Tax Relief scheme exists to encourage technological advance and will pay back up to 27% of costs incurred in qualifying projects such as staff, subcontractors, consumables, software and further research or trial activity. Both profit and loss making businesses can apply for the scheme. The scheme can also be applied to successfully commercialised projects as well as those resulting in commercial failure or non-commercialisation. 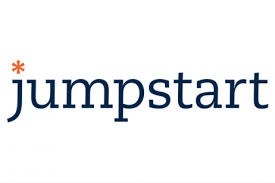 Since 2008, Jumpstart has identified £585M of eligible R&D expenditure for clients, and has achieved £104M in tax benefit paid back to clients. All of our clients remain with their existing professional advisers, but acknowledge that claims for R&D Tax Relief call for our market leading technical expertise, and know that our expert support unlocks their time to focus on what’s important – business growth. Eligibility for the R&D Tax Relief scheme is evident in a wide range of businesses – these could be business in the Manufacturing/Engineering sector, as well as a wide range of other sectors. Businesses carrying out ‘Internal Improvement Projects’ may also qualify for the scheme – eg: a business developing software to help with the management or automation. If any of the following examples are relevant to your business, then please send me an email and I would be delighted to discuss your projects further.